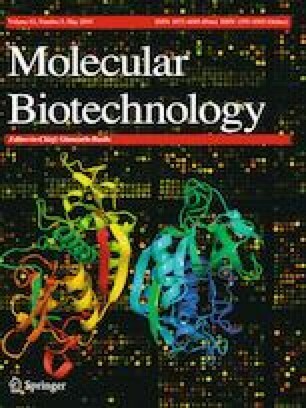 Current developments in meta-data analysis and predictive computational models offer alternative routes for the identification of antibodies. In silico-based technologies and NGS data analysis from Ab phage-display selections offer expanded selections of Ab candidates. Accordingly, the identified de novo Abs with predicted selectivity for a target antigen must undergo rapid gene synthesis for downstream Ab characterizations. Here we describe a high-throughput strategy for the generation of synthetic Ab clones for expression as Fab proteins in Escherichia coli. Our approach utilizes simultaneous single-stranded site-directed mutagenesis of diversified Ab regions of a phagemid template with engineered complementary determining regions that contain multiple stop codon and restriction enzyme sites. Subsequently, we perform rapid screening of Ab DNA clones for correct gene assemblies by high-throughput Ab-phage protein expression screens. Identified sequences are corroborated by Sanger DNA sequencing analysis. In summary, our work describes a rapid and cost-effective platform for the high-throughput synthesis of synthetic Ab genes as Fab proteins for implementation into downstream protein validation pipelines. The online version of this article ( https://doi.org/10.1007/s12033-019-00171-9) contains supplementary material, which is available to authorized users. We would like to thank Y. Cabrera for optimization assistance with the ELISA detection screen and are also grateful to L. Moffat for helpful discussions and comments. This work was supported by the Charles H. Best Foundation. Howard, G., & Kaser, M. (2007). Making and using antibodies: A practical handbook. Lavoisier.Fr. Retrieved from http://books.google.com/books?hl=en&amp;lr=&amp;id=yZQiab1lxEYC&amp;oi=fnd&amp;pg=PA1&amp;dq=Making+and+using+antibodies:+A+practical+handbook&amp;ots=5T0RVvlbOw&amp;sig=N0or4QYBKnaQZCpPU7WgKA9Y7Gg.